Sun rays make my home warm. I like summer and warm weather. I like family holidays at the seaside. 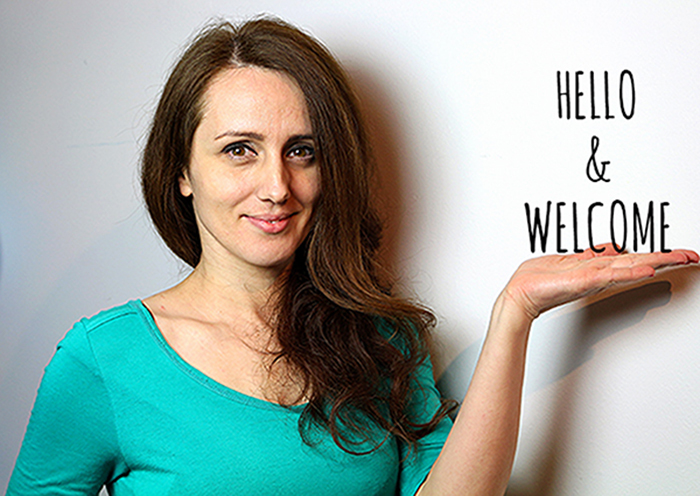 Yeah, I‘ve just returned from beautiful Greece. I‘ve had a great time and “recharged my batteries”. That‘s why I haven‘t been around for a while. All you need are right ingredients and 15 minutes of your time. 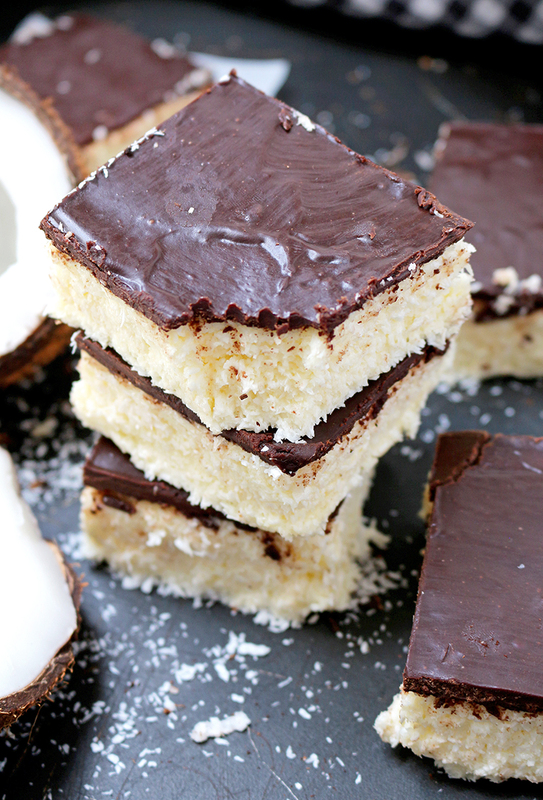 Easy No Bake Coconut Chocolate Bars simply melt in your mouth. They are light, and refreshing, just the way I like. My husband loves them, too. There are many no bake desserts on my blog, yet the most popular are No Bake Chocolate Peanut Butter Mini Cheesecake and Easy No Bake Oreo Mint Cheesecake. Hot summer days are just right for cold refreshing desserts, such as Homemade Mint Chocolate Chip Ice Cream and Caramel Pretzel Cheesecake Ice Cream. 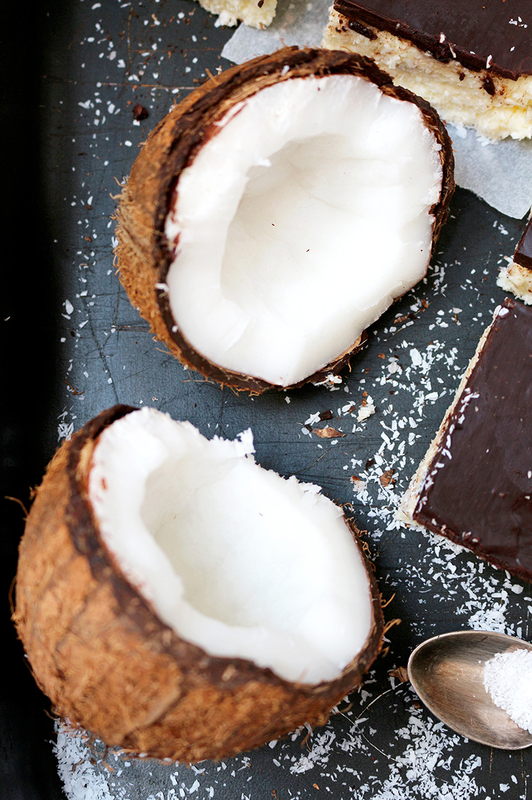 What do you need to make this No Bake Coconut Chocolate Bars? 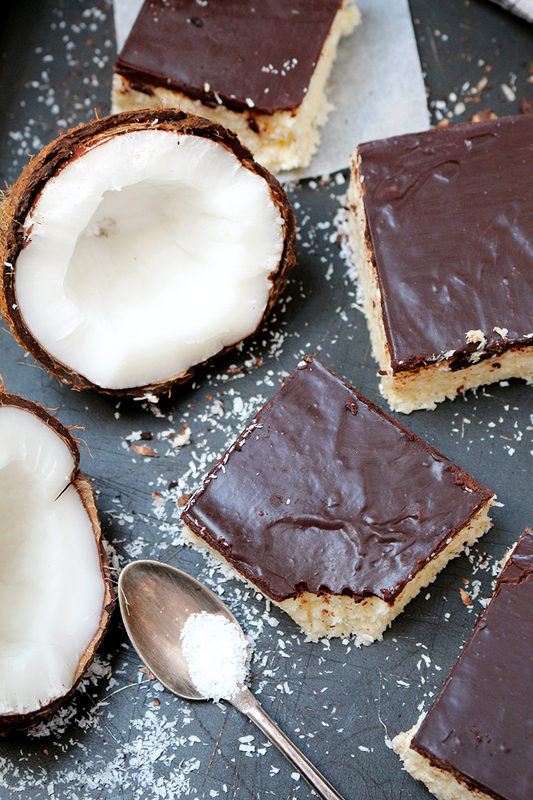 How to prepare Coconut Chocolate Bars? Line an 8×8 inch dish with parchment paper. 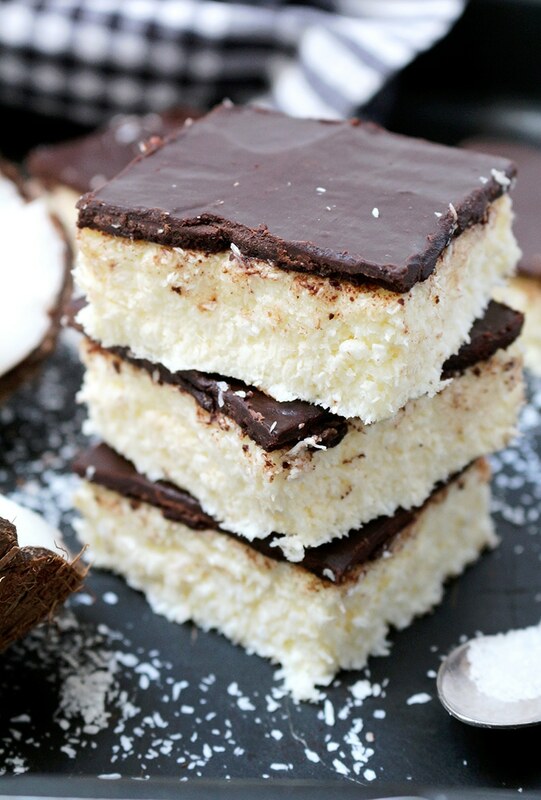 COCONUT BARS – In a medium dish, mix instant vanilla pudding and milk, using an electric mixer, minimum speed, for about a minute, then for 2 more minutes at medium speed. 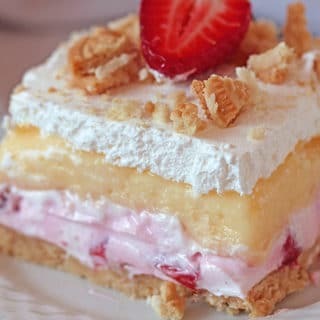 In a separate, large dish, put cream cheese, softened butter and sugar and mix for about 2 minutes with an electric mixer, medium speed, until creamy. Add already prepared vanilla pudding and mix until well combined. Finally add shredded coconut and stir well. Spread evenly in an already prepared dish, using some solid object to make a firm layer. Leave aside. 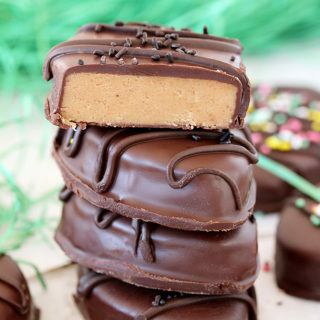 CHOCOLATE FROSTING – Put heavy cream in a small dish. Heat it on medium temperature. When it starts to boil, remove from the heat and combine with chopped chocolate. Stir well, so that all the chocolate melts. You need to be quick, if you don´t want any crumbs. Spread evenly over the coconut layer. Keep refrigerated for minimum 4h. Line an 8x8 inch dish with parchment paper. COCONUT BARS - In a medium dish, mix instant vanilla pudding and milk, using an electric mixer, minimum speed, for about a minute, then for 2 more minutes at medium speed. CHOCOLATE FROSTING - Put heavy cream in a small dish. Heat it on medium temperature. 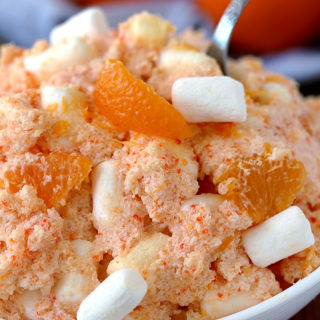 Keep it in the fridge in airtight container, to keep the freshness and softness. Use finely shredded coconut - it absorbs more. 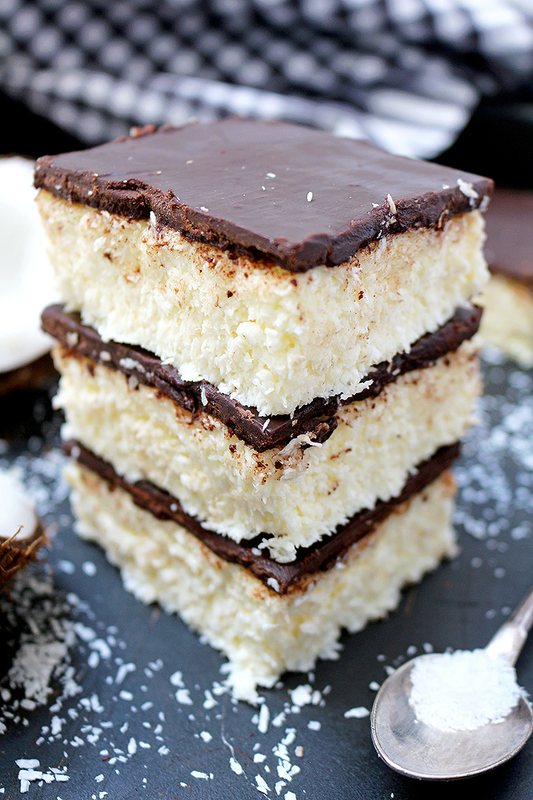 It looks delicious but is it shredded sweetened coconut or plain shredded coconut? Thanks. Thanks Eileen 🙂 It’s shredded unsweetened coconut. Mine did not turn out like bars. It was more like just pudding. Why would this happen? I followed to a T.
You need to use finely shredded coconut, because it absorbs more.